This breakthrough technology wirelessly captures, transmits, measures, analyzes, and reports radiation dose exposure anytime, as often as needed. Instant online access to real-time, on-demand dose reports and measurement data enable users to pinpoint high dose exposures faster. Smarter tracking and reporting of current and long-term dose exposure makes administration and compliance easier. Personal Radiation Monitoring for Occupationally-Exposed Staff. 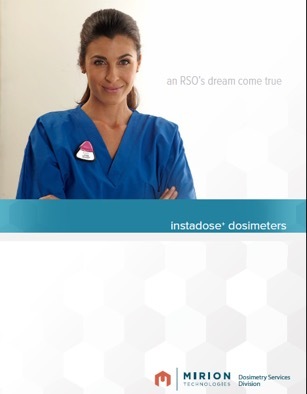 The Instadose+TM dosimeter, with SmartMonitoringTM technology, is a digital radiation monitoring device that is transforming how staff are monitored and safeguarded from radiation over-exposure. INSTANT…access to real-time, on-demand dose reads and measurement data. Featuring Bluetooth Technology to quickly, easily, remotely transmit radiation dose data via smart devices, PCs, and hotspot stations. PRECISE…measurements based upon Direct Ion Storage (DIS) technology, enabling high sensitivity and accuracy. SMARTER…administration and compliance—eliminating the need to collect, return, and redistribute dosimeters for processing. And, SMARTER reporting and tracking allows users to pinpoint high dose exposures and anomalies faster because only Instadose+ dosimeters enable on-demand and scheduled calendar reads with real-time access to both historical and current dose measurements and reports. For information on how to wear the device, visit our FAQs. Instadose+TM dosimeters have a built-in memory chip with an embedded, unique serial code that is assigned to the user. The accumulated radiation dose is stored on the Instadose+ dosimeter, transmitted via Bluetooth Technology, and processed through Mirion’s proprietary, industry-leading dosimetry algorithm. This fully automated transfer of data minimizes the chance of human error and misidentification. Users have the flexibility to view their current and historical radiation dose information online at any time, from any computer or mobile device with internet access. 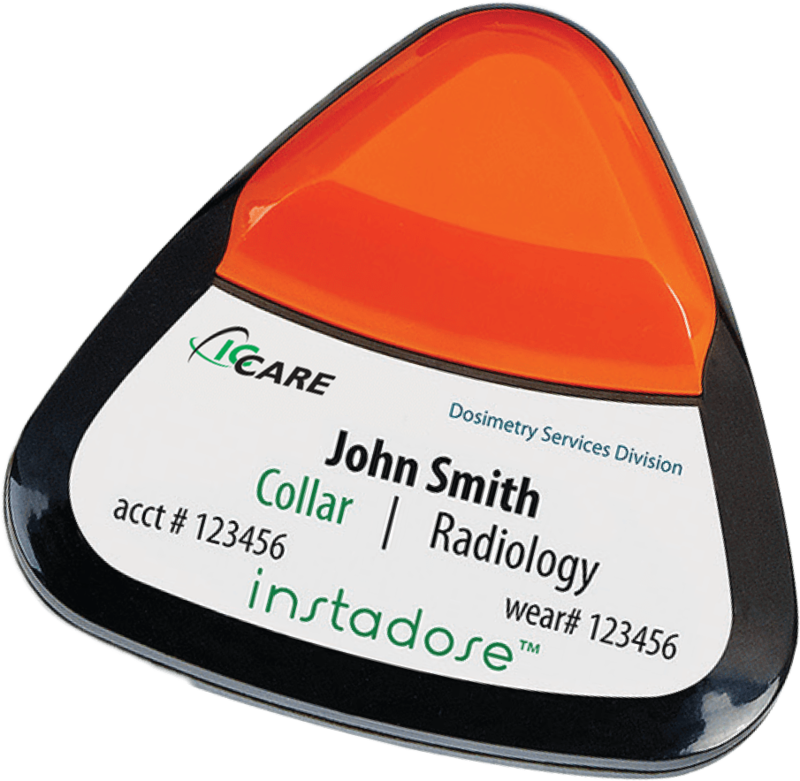 To enable online account access, a user must first register at www.instadose.com upon receipt of their Instadose+ dosimeter. During the registration process, the Instadose+ driver and client are installed on the users’ computer and their dosimeter is initialized for use. Users also have the option of downloading the InstadoseTM mobile app to a smart device (phone or tablet) for online account access. When a user needs to view their dose reading, they simply log-in to their account, download their data and click "Read Device". Once complete, a graphical representation of the current dose will load on the screen. From automatic dose reads transmitted through a smart device (phones, tablets) or PC to high dose notification alerts, online badge reassignments and real-time report access, Instadose+TM delivers a new level of convenience, compliance, and effectiveness to any radiation monitoring program. Elimination of the badge collection, return, redistribution process. Increased compliance; accurate, reliable readings. Instant dose reads captured with iPhones®, iPads®, PCs, or InstaLinkTM stations. A variety of reports available online, on-demand. RSO-defined calendar read intervals for dose trending. Long-term exposure data recorded over time enables the ability to track and lower dose for high risk employees. Immediate e-mail notification alerts when user/wearer exceeds dose level specified. 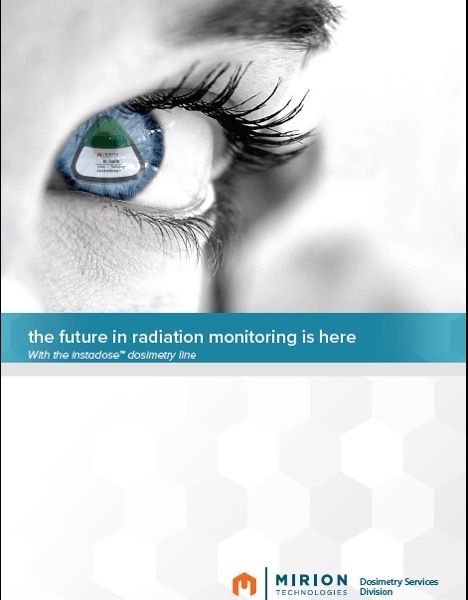 Download the Instadose+TM brochure to learn more about SMARTER radiation monitoring. Don't need wifi connectivity? 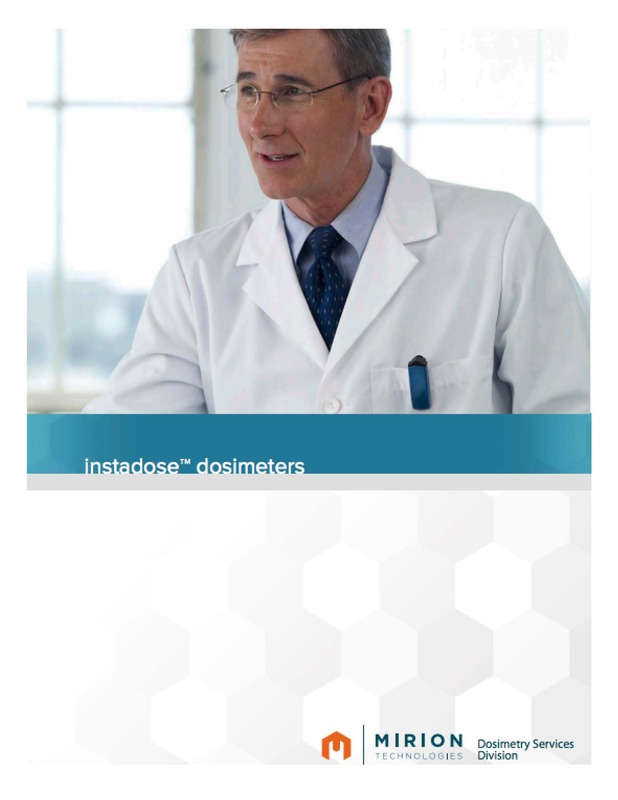 Learn more about the Instadose USB-enabled dosimeter that connects to a PC for plug-in and read capability. 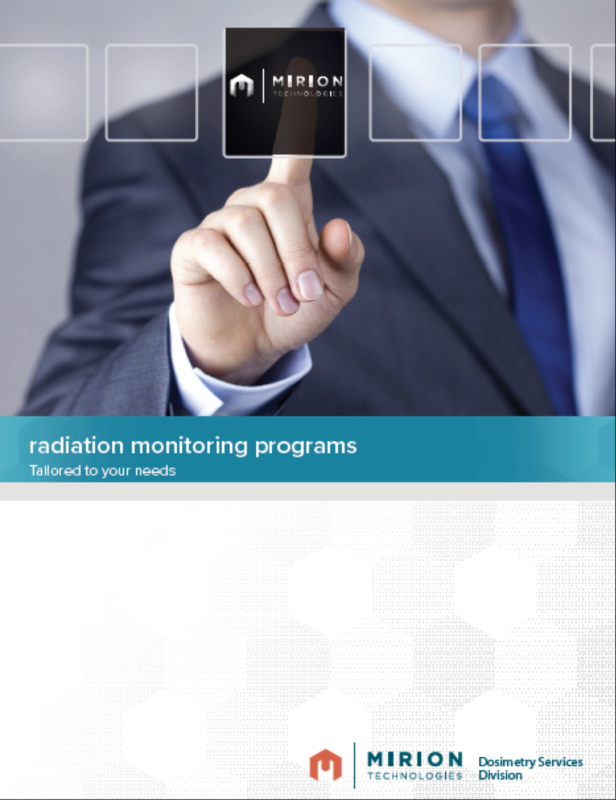 Download this overview of Mirion's radiation monitoring programs and product solutions.